Hi, bloggyverse. Here's some art happenings in January. 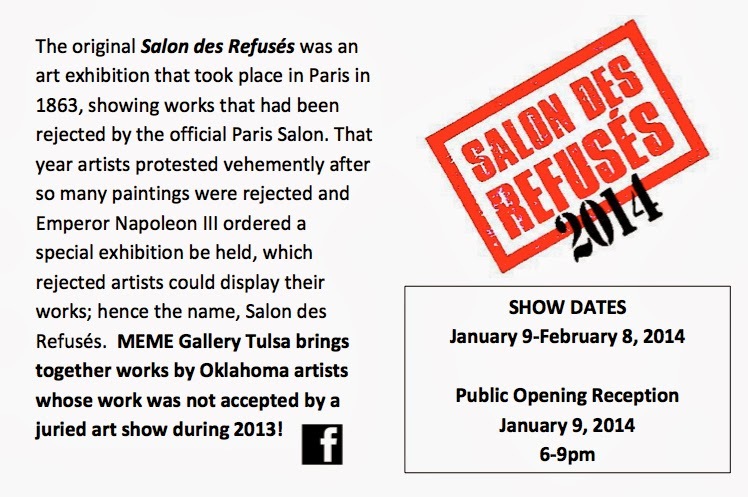 January 9th is the opening reception for a show in Tulsa called Salon de Refusés at MEME Gallery. It is a show featuring art that was rejected from local juried shows in 2013, and when I dropped off my piece I had a lovely chat with one of the owners about the motivations for this show. 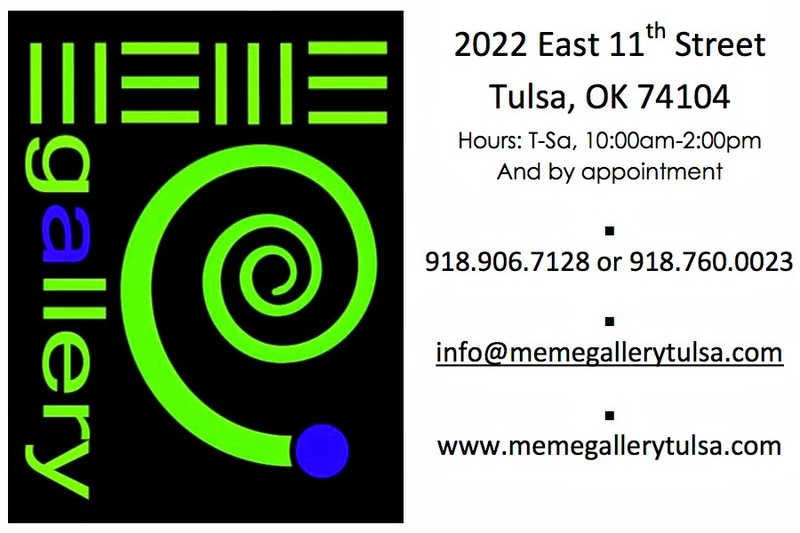 There are a lot of amazing artists in Oklahoma and I hope this will show audiences some undiscovered work that has fallen off the radar of past jurors. To stay updated on future art happenings, you can follow this blog by email - (on the sidebar), follow with Google +, or Facebook, or email me at artbyamandachristine[at]gmail[dot]com to subscribe to my quarterly newsletter.